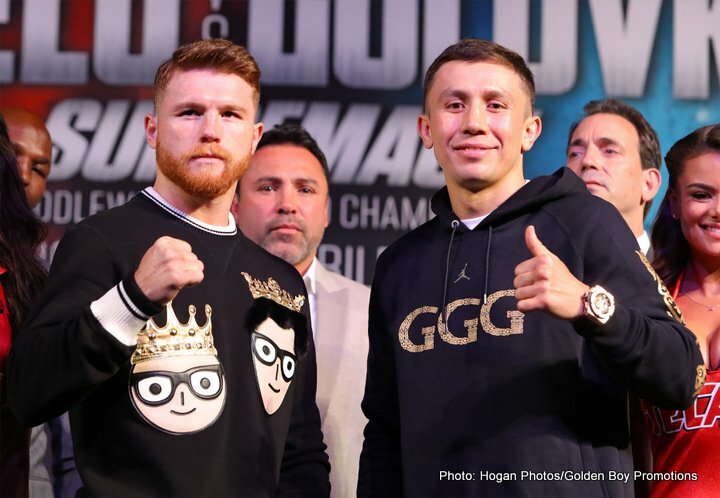 The upcoming May 5 rematch between middleweight giants Gennady Golovkin and Canelo Alvarez could take place in New York, at the historic Madison Square Garden. Although Las Vegas, scene of course of the first fight back in September, remains the frontrunner to host the anticipated rematch, Madison Square Garden is being strongly considered. According to Tom Loeffler, promoter of the world middleweight king, the offer the legendary New York venue is likely to make will be indicative of how much the arena wants to hold the May 5 fight. Those fans who feel Canelo holds too many advantages when he fights in Vegas, and that GGG did not and will not get a fair shake on the cards of the judges in Vegas, would very much like the sequel to play out in New York instead. As usual, money will talk. But when it all comes down to it, fans will enjoy this fight wherever it takes place. And Abel Sanchez, trainer of course of Triple-G, is hoping for a more aggressive Canelo this time round. Canelo hit GGG hard in the first fight, but not often enough, and when he did land a bomb flush on the chin, GGG barely blinked. Can the Mexican star make a serious dent in the unbeaten, long-reigning middleweight king this time? If he can, Canelo will be making Sanchez eat some big words.